Another rainy monsoon day. In fact a bad day for photography. Confined in the four walls of my apartment, and this view through the dining room window came as a solace. Like someone said, creativity is triggered by the monotony of solitude… Captured using my lumix fz200, fstop 3.2 and I do not remember the shutter speed :-), forgive the amateur photographer in me:-). This entry was posted on July 18, 2013 by abrachan (aby). 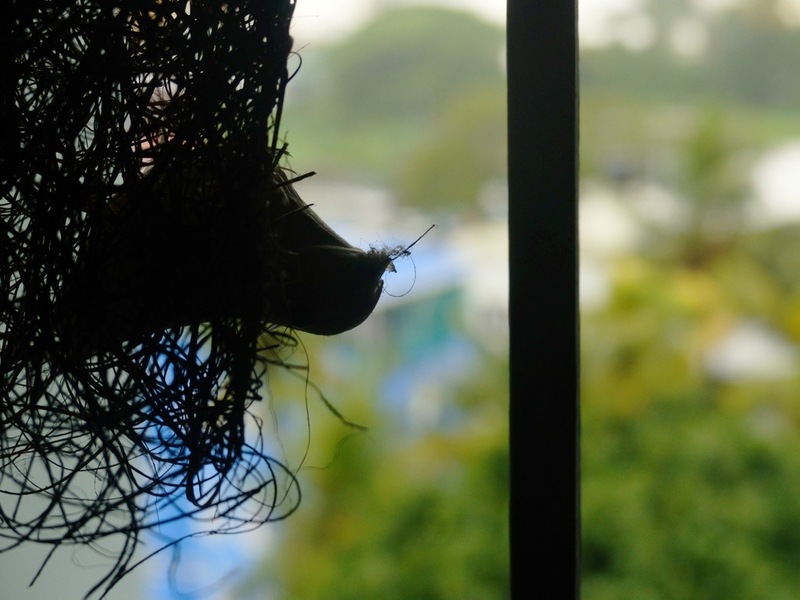 It was filed under birds, digital photography, Kerala, Kochi, lumix fz200, monsoon, photography, rain, seasons, travel, varapuzha and was tagged with birds, India, Kerala, Kochi, lumix, nature, panasonic, Photography, window.